An active lifestyle is a key component to healthy living at Shearwater, and what better way is there to stay active and healthy than playing sports? Shearwater offers its homeowners four high-quality, specially designed Har-Tru® tennis courts, so every homeowner, from the professionals to the beginners, can get out and enjoy some fun on the courts. Har-Tru® courts are designed with the health of players in mind, utilizing a green stone mined in Virginia for the court surface. This unique material allows players to slide into shots, reducing the stress put on joints and ligaments. In fact, research indicates that you are seven times less likely to be injured on a Har-Tru® court than on a traditional hard court! As an added bonus, Har-Tru® courts are up to 15 degrees cooler to play on than a hard court, so regardless of your skill set, the benefits of a Har-Tru® court can’t be beat. With four illuminated Har-Tru® courts available at the Kayak Club, there is plenty of space for players to practice, play and exercise. The stadium court allows players to practice day in and day out for upcoming games on a court that is sized specifically for tournaments, but also allows for some friendly competition with family or friends. Shearwater residents can play doubles, singles or even get together to hold neighborhood-wide tournaments and practice, play and compete together. Whether you’re a former pro or have never held a racket, professional coaching is always beneficial. 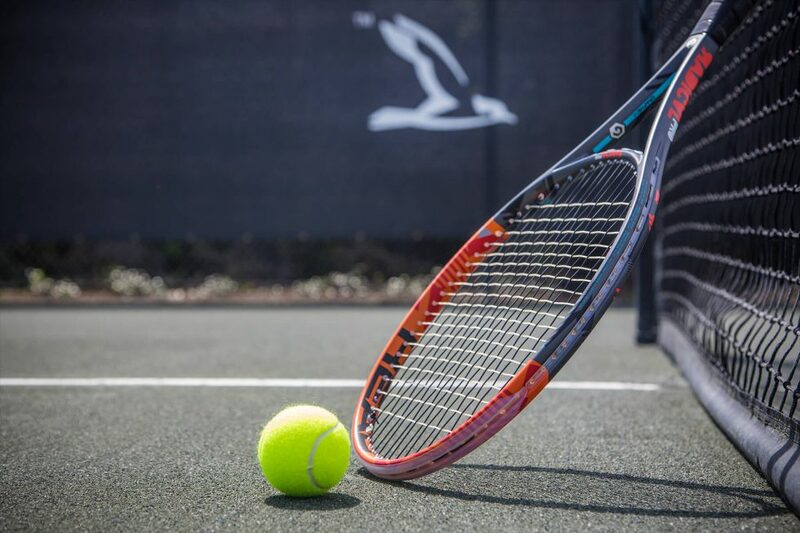 Starting in October, residents of all ages will be able to take both group and private lessons with a team of tennis pros, learning everything from proper hand placement on the racket to the strategy of playing on a Har-Tru® court. Lessons can get children excited about sports, encouraging active and healthy living. They can also be a great way to meet other players and become part of the tennis community, competitively or socially. The tennis staff is available for private (individual) and semi-private (small group) lessons anytime by contacting them at Shearwatertennis@gmail.com. Interested in learning more about Shearwater? Join our Founders Club to receive news and stay up to date on this community.